In 1974, Super 8 opened its very first hotel in Aberdeen, South Dakota. 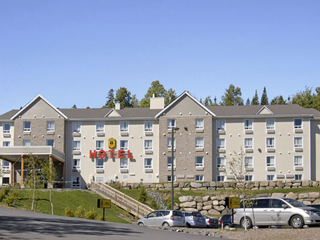 With rooms costing $8.88 a night, Super 8 made the region accessible to anyone looking for a place to stay the night. This is how the first “super” destination adventure was created. Enjoy refreshing pools, water slides, a Superstart Breakfast and Internet access for free, all included with your room. You no longer have to go very far or spend a fortune to visit someplace “super,” even if you’re busy and getting away seems impossible. Just look for the Super 8 sign. It makes every destination super!